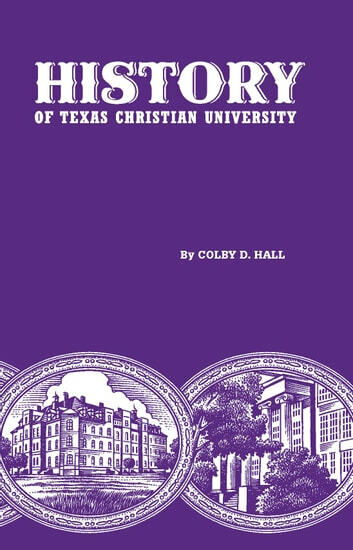 First published by TCU Press in 1947, Colby Hall’s book History of Texas Christian University: A College of the Cattle Frontier is the story of the first seventy-five years of the institution. Tracing the evolution of Add Ran College to Add Ran University, and ultimately to Texas Christian University, Hall shows the struggles and success in the transformation of a frontier college dedicated to educating and developing Christian leadership for all walks of life to a university dedicated to facing the challenges imposed by a new world frontier following World War II. 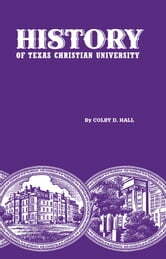 Drawing upon numerous sources, including many unpublished documents, personal correspondence, and the author’s own recollections of his association with the university, Hall provides a detailed account of TCU's history and reveals how its founders' dreams were realized. Hall’s narrative skillfully weaves the development of the school into the history of Texas, at the same time elaborating upon the development of collegiate education in Texas and the establishment of the Christian Church (Disciples of Christ) in the state. Recognizing that TCU is much more than an institution, Hall specifically emphasizes the contributions of the people and personalities who helped shape the growth of the school. "I Hope to Do My Country Service"